We offer servicing on all makes and models to the very highest standards, in a timely manner and as cost effective as possible and in most cases are almost half the cost charged by the main dealer. 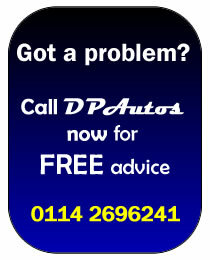 Should we find any concerns whilst servicing your car we will always call to discuss the issue with you and advise the best course of action without any form of selling techniques again which is often the case with a main dealer. We will always offer you our best price at the time of determining exactly what work is required, or is essential to return your car in a safe, road worthy condition and we’ll also offer advice on anything which may need doing in the near future or to keep an eye on. We will also gladly keep any original components which we have replaced during the service for you to witness yourselves for peace of mind. Your service book will also be stamped to confirm the service has been carried out at that particular time and mileage. We always endeavour to give you the best price possible and in order to do so we will provide you with a set fixed price dependent on your make and model so that you know from the outset what your servicing cost will be. Contact us today on 0114 2696241with details of your make and model and we will provide you with a competitive price for your service.